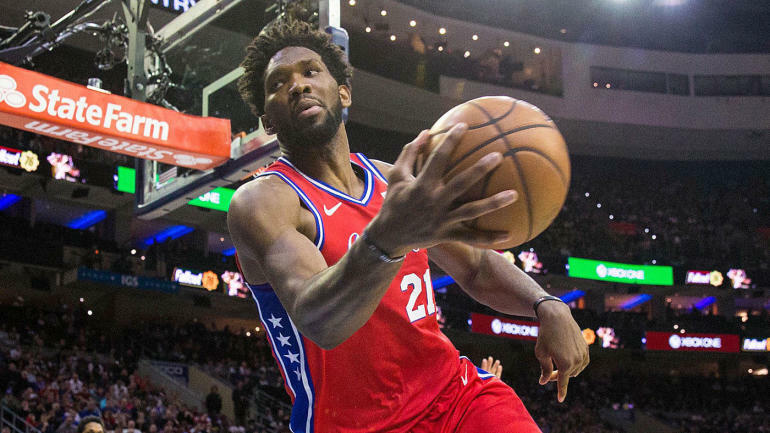 The sunny optimism about franchise players Joel Embiid and Ben Simmons leading them to an eventual championship has been replaced by the cold reality of a 6-5 start and an offense that ranks 21st in points per possession. They visited Brooklyn on Sunday and played some of the most uninspired basketball I've seen this season; after the 122-97 loss, coach Brett Brown sounded like a disappointed dad when he said the performance was unacceptable. During the Sixers' 109-99 win against the Detroit Pistons on Saturday, NBC Sports Philadelphia's Serena Winters reported that Shamet had been sitting next to JJ Redick on the team plane and trying to learn as much as possible from one of the best shooters in NBA history. Unlike when he played point guard for Wichita State, Shamet's job on offense is to space the floor, run around screens and knock down 3-pointers on the move. Ibaka's hot start should not be separated from the magnificence of Kyle Lowry, who, as my colleague Reid Forgrave pointed out, is putting up the same sort of numbers Steve Nash did when he won back-to-back MVPs. 10 more stray thoughts : Two players who are shooting the lights out: Joe Harris and Buddy Hield … Can't wait for the Tyson Chandler to write a book, if only for the section on his three-and-a-bit years in Phoenix … Jeff Bzdelik deserves a huge ovation when he returns to the Rockets … Draymond Green was averaging 8.5 assists before Monday's foot injury … The Raptors don't even totally know one another's tendencies yet … The Bucks have a net rating of plus-9.0 with Giannis Antetokounmpo on the bench … The Pelicans might appear to be falling apart, but Elfrid Payton has been missed and their starting five has a plus-36.1 net rating in 60 minutes … I would very much like for Dirk Nowitzki to get healthy … Keep an eye on Gary Clark … Jamal Murray has always had moxie.